We all need some vitamin SEA! I have never really considered going to an all inclusive resort, but now I can see why so many people think of them as a good place to spend their holidays. Indeed, I have only just got back home after a month of travels, and all I can think of is going on an actual holiday, the kind of thing where the most tiring activity I would have to do would be putting on my bikini and walking to the beach, then the pool, then lift my cocktail. Yes, to me there is a big difference between traveling and going on holidays. And while traveling is rejuvenating, energizing, interesting and a lot of fun, it doesn’t necessarily imply resting. A month of traveling meant a lot of advanced research and planning, and given the limited time I had in order to explore countries I had never been to before, it meant lots of before-dawn wake up calls to see the sunrise, to catch early buses, to go on fantastic hikes and to visit local markets. Add to this a whopping 38 hours of traveling on a combination of minibus, ferry and multiple planes and layovers to get back home, and it is easy to understand why I am so tired. Nothing that a good walk on a long sandy beach can’t fix! I feel no shame in admitting that I am tired. In fact, I am exhausted. No, a nap would not fix this. Indeed, I am so tired that going to bed early for a few days would not necessarily help. And most definitely, drinking more coffee to get by during the day would not solve the issue. In fact, I think I need to get away from it all for a while. I think it is time to go to Mexico again. It would be my fourth time in the country, but I can’t help it, I just love it so much there. Besides I find going back to a place I already know somehow reassuring, and I think one is never really done exploring a place. The combination of the nice weather of the Riviera Maya, of the great culture which I got to know through my many trips and which I am very fond of; the delicious, mouthwatering food and of the kind, welcoming people makes me long for it and urge to go back as often as possible. 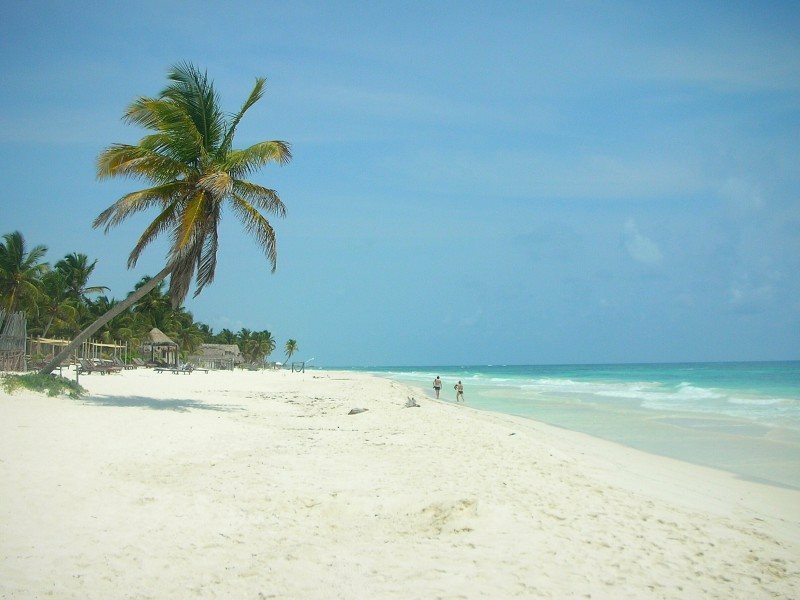 I feel compelled to go to Playa del Carmen, a place I love and where I know I can find a gorgeous beach, a pretty town (if only slightly touristy but hey, I would be a tourist after all!) if I feel like going out, restaurants and bars galore to eat and drink whatever I may fancy and, most importantly so, where I will have a lovely all inclusive resort with all the amenities I may possibly want. The best part of it is that, in case I decide to further explore a region which I know I love, I will find someone to help me arrange everything. Top it off with the fact that some of my friends are in currently living in the region, and I can predict I will have a real blast. All I have to do is book the holiday, pack my bags and board my flight to Cancun. Someone else will do the rest of the work for me! Time to visit Mexico again! My plan once in the Riviera Maya is to concentrate on doing my favorite things. I will go to the beach and read some of the books I will carry with me – the same books I have been wanting to read for a long time, and never found time to do so. I will inevitably doze on and off, interrupting my sleep only to jump in the clear Caribbean waters and to sip on a freezing cold coconut. I will have a much needed sunset drink at the beach before having some of my favorite Mexican dishes for dinner. I will indulge in beauty treatments and massages and get a good dose of exercise in one of the tennis courts or at the pool. And I will have plenty of beauty sleep at night in a gorgeous, spacious room. Can you blame me for wanting to go to Mexico again? 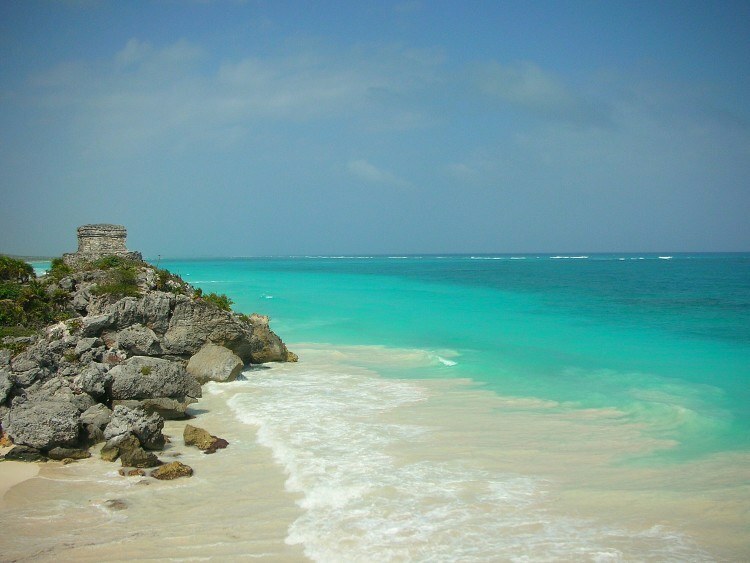 Besides, Playa del Carmen is a perfect place to begin exploration of the region. In case I feel the urge to explore (and I know that even if I say I am tired, after a few days I will be eager to go out and discover new places!) I can easily get to a lot of attractions on the Yucatan peninsula. I have already been in the region 3 times and won’t ever get tired of exploring the fantastic archeological sites of Tulum and Coba (where I even bumped into my ex!). But I would also like to visit some of the Cenotes I have missed last time I was there, and get to swim with the turtles in Playa Akumal since the last time I was there – believe it or not – I saw none. It’s one of the best beaches in Mexico! Click to find out more about the amazing things to do in Mexico’s Yucatan. Have you been to Mexico? What did you like the most about it?